Hello! Welcome to our web page. As it is developed and expands we hope to give you a wide range of information about our beautiful launderette, the wonderful Boundary Estate and news of events and services locally. 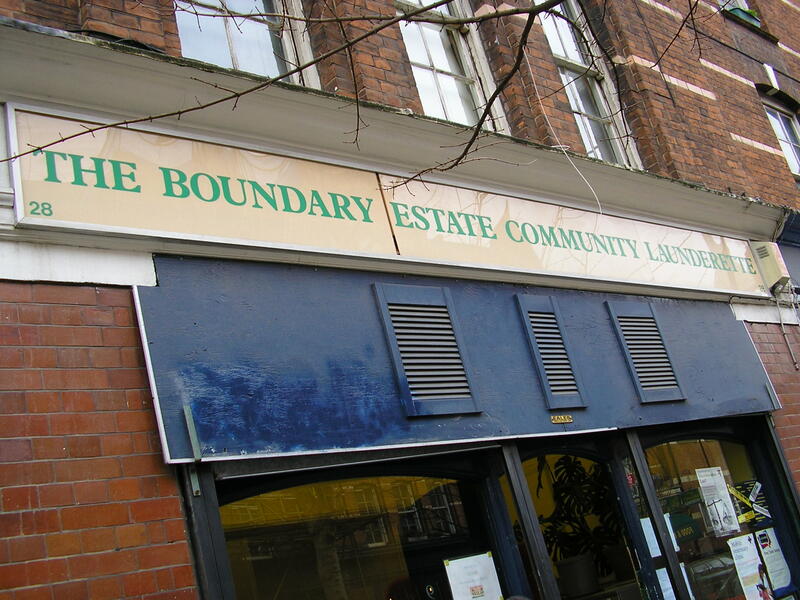 The Boundary Community Launderette is a community run, not-for-profit business on the Boundary Estate, London E2. Over the past eighteen years the launderette has become an integral part of the Boundary Estate and local neighbourhood, offering not only all the services of a launderette but also providing local information and even a bookstall that raises money for charities and appeals. Prices are kept lower than most launderettes because of the unique way the launderette is run and maintained. Being a not-for-profit community enterprise means the day-to-day costs are covered by the charges for machines and service washes, major purchases and works are funded through charitable trusts and other organisations. So, that is us in a few short paragraphs. You can get more information on how the launderette came into being and what we do on the ‘About Us – Our History’ page. We hope you’ll become a regular visitor to our blog and that we’ll keep you informed, amused and up-to-date! The Beautiful Boundary Community Launderette!